Traction: In past running models from Under Armour, traction felt like an after thought, but that’s changed on the Scorpio. Inspired by a cleat, it only makes sense that the Scorpio performs well on a variety of surfaces, including grass. Whatever condition you may face, the under Armour Scorpio will have you covered for a long time. 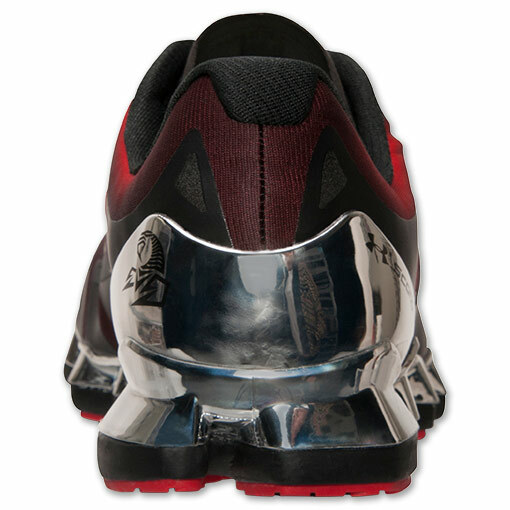 The outsole is pretty thick, which makes longevity a strength for the Scorpio. Cushion: If you are the type of runner that really likes to feel your cushion, you’re going to love the setup on the Scorpio. A full-length TPU shank, coupled with the Micro G injected foam, provides an amazing cushioning setup that gives you a lot of bounce and energy return. Also, a 4-D foam insole molds to your foot, providing a personal fit that accommodates any foot shape and size. If you are looking for a minimalistic, low to the ground cushion setup, the Scorpio is not for you. However, if you enjoy a little pep in your step, the Scorpio has you covered. Transition: The Pebax plate featured on the Scorpio provides lightweight support, but also allows your foot to flex without any distraction. Flex grooves, strategically placed for the foot’s anatomy, give the user a smooth transition without any restriction. But with its cleat inspired technology, some may find the stability during strides on the Scorpio to be somewhat underwhelming (more on that in the support section). Fit: You will experience no loose ends with the fit on the Scorpio, as it wraps around your foot nicely. The mesh upper, with welded overlays, conform to your foot, providing a glove-like fit. 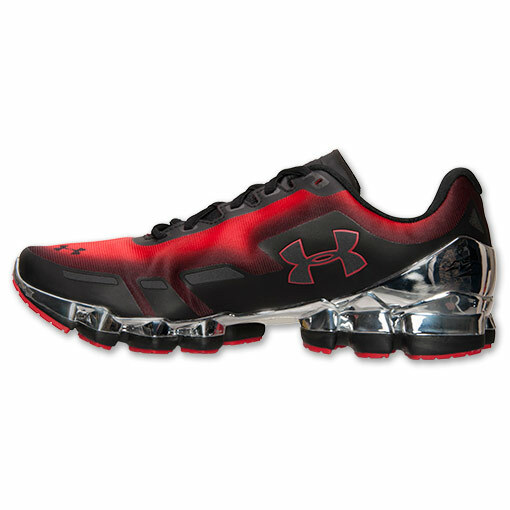 As always, Under Armour provides us with a tongue that molds around the front of your ankle and never gets in your way. 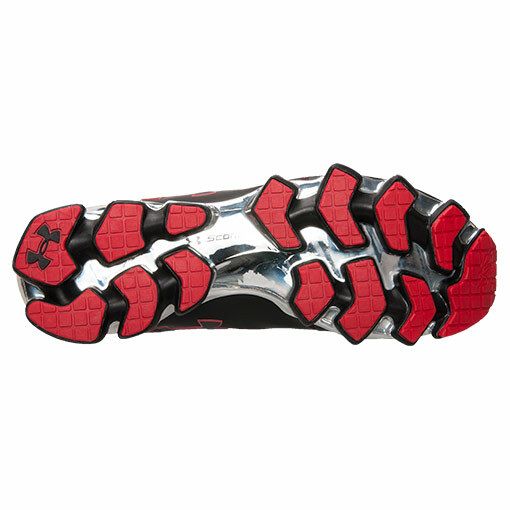 But wide footers beware—the fit on the UA Scorpio may be a little too close to your foot. The width on the Scorpio is extremely narrow. Going up half a size is an option but you run the risk of having too much space in the toe box area. Support: Stability is the biggest issue on the Under Armour Scorpio. I wouldn’t recommend doing high intensity training that involves a lot of lateral movements, as there aren’t enough support features on the Scorpio to perform well in those situations. While you’re wearing the Scorpio, you feel very high off the ground, and the overall ride isn’t as stable as you would like it to be. It’s fine when you’re running straight forward, but may get a little turbulent when moving in multiple directions. It’s a shame, since an external heel cup is provided, which should keep your foot on the footbed during lateral movements. However, these movements are not recommended. Overall: The Under Armour Scorpio works perfectly fine in the right situation but just isn’t versatile enough to recommend as a cross training option. The cushion setup is amazing for those who like a bounce in their stride, and the lockdown fit is great, provided you don’t have a wide foot. Overall, the stability just isn’t there for a variety of activities. 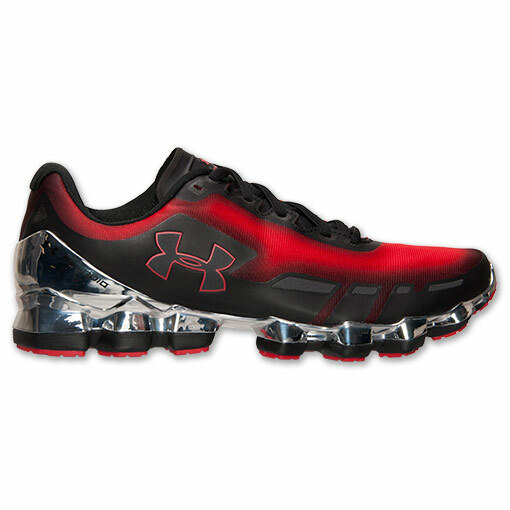 Your best bet is to stick to running while wearing the Under Armour Scorpio, and boy does it perform well. 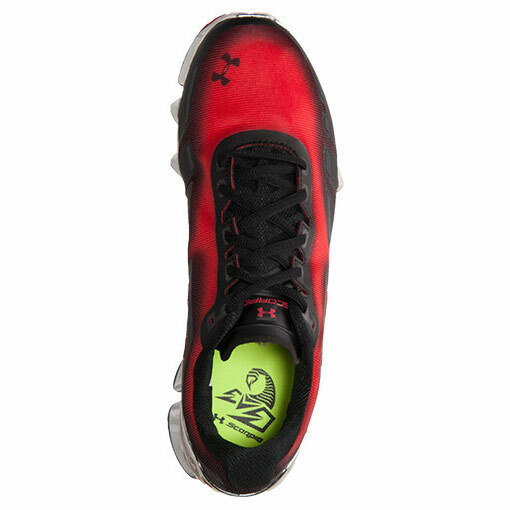 You can pick up the Under Amour Scorpio on sale, for as low as $79.99 now at Finish Line. Sorry jarron, but you’re* in the support section.